The project. 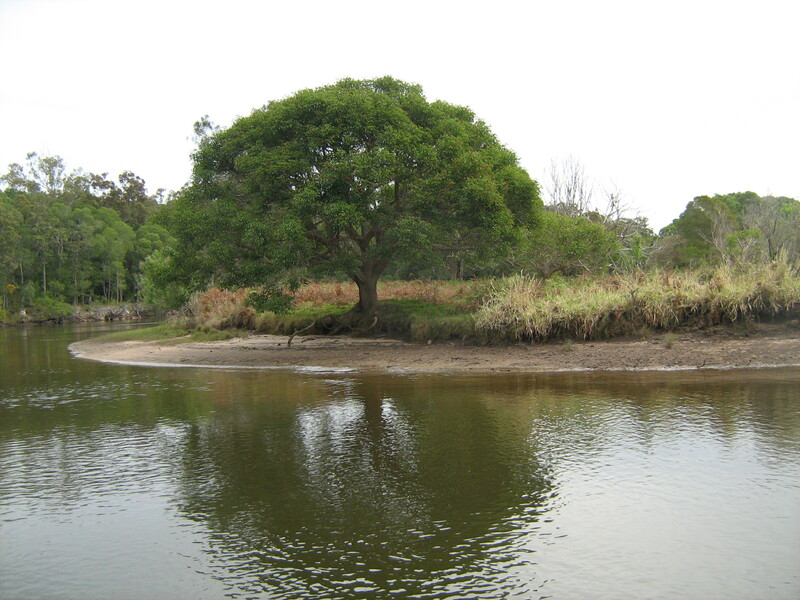 A three-year bush regeneration and weed control program was conducted (from June 2009 to March 2012) along nearly 15km of Evans River in north coast NSW. Carried out byEnviTE Environment, the works were designed to meet priority targets of the Northern Rivers Catchment Action plan. A range of weeds degrading vegetation communities were controlled along 61 ha of native vegetation (20 ha of wetland, 31 ha riparian and 10 h of upland native vegetation). This particularly involved the control of Coral Tree (Erythrina x sykesii). 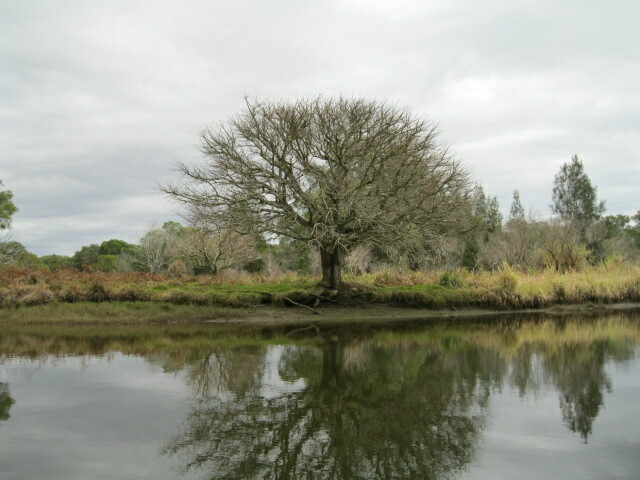 Eight of the ten land managers along the river were private landholders, with one parcel of land being part of the NSW National Parks and Wildlife Service (NPWS) estate. Private landholders were engaged in the project through Landholder Management Agreement commitments and worked alongside professional bush regenerators, gaining skills and knowledge in weed control techniques and bush regeneration strategies. They saw positive changes in riparian vegetation as a result of the works and through this have increased their understanding and support of environment restoration efforts. In the case of the NSW NPWS estate, significant areas of primary weed control were undertaken in the last two years of the project. This included control of major infestations of Ochna, a difficult weed requiring further follow up in this area to ensure sustainable environmental outcomes. As well as on-ground works, the project involved a workshop held in Evans Head with attendees learning how to effectively kill Coral Trees. Project promotion through local media and landcare networks, as well as at the local Evans Head markets, helped to raise awareness in the local community Wider community participation included employment of a member of the Bandjalang people, who are traditional owners of the area. Its outcomes. Contribution to targets of the NR Catchment Action Plan has far exceeded contract requirements. 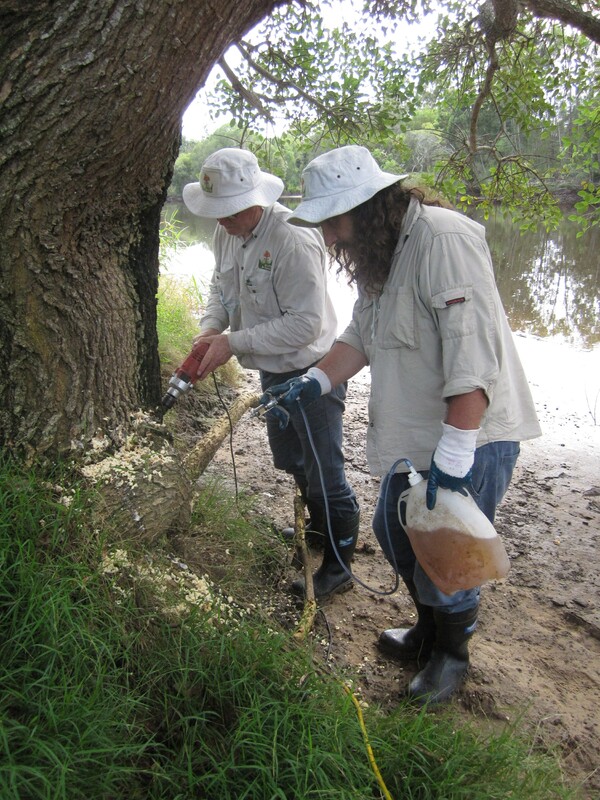 The Coral Tree infestation in the Evans River Catchment has been reduced to minimal levels. As future reinfestation will occur due to spread of seed, particularly in floods, from the Richmond catchment – on-going, low level, maintenance is required to gain greatest benefits from the investment to date. Lessons learned. This project ran over three years, which to date has been uncommon for projects funded by Northern Rivers Catchment Management Authority (CMA). This allowed us to work across the full cycle of seasons over three years, timing treatments for their optimum time for both the species and OHS requirements. This time period proved highly advantageous as it allowed the achievement of sustainable environmental outcomes and reinforced investments for the Evans River Catchment. As a result, we strongly recommend that the duration of restoration projects be three years or more. Partners and funding. The project cost $183,230 over the 3 years, over half of which came from the NSW Environmental Trust, about a quarter came from the Northern Rivers CMA and the remainder was contributed mainly by the EnviTE Jobs fund bush regeneration team, with some contributions from NPWS and Richmond Valley Council. Landholders’ in-kind contributions was valued at an additional $24,790. Contact: Mike Delaney, Environment Manager, EnviTE Inc, 56 Carrington Street (P.O.Box 1124), Lismore NSW 2480; Tel: +61 2 6621, Mob: 0429 968 070, Email: miked@envite.org.au. This entry was posted in Bush regeneration, New South Wales, Riparian & stream ecology, Weed issues & solutions. Bookmark the permalink.